Catering Price GuidesPatricia's Cuisine caters for every occasion so even if you can't see the menu you would like please contact me for advice. 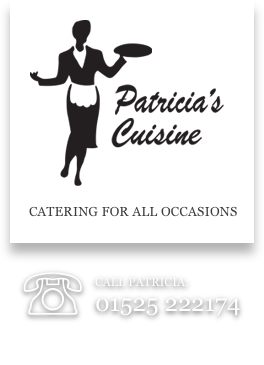 Patricia's Cuisine caters for all occasions and any events - from weddings to birthday celebrations, from corporate hospitality through to BBQs and hog roasts - we have an extremely wide and varied menu for you to choose the food that accompanies your occasion perfectly. We have created some sample menus for you to browse on the website but if you can't see a dish that you particularly fancy please just give us a call. Why Not Add A Buffet Platter? 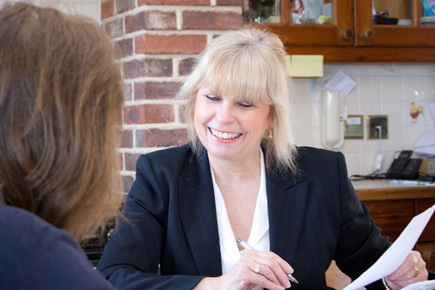 Don't forget that we're always here to help and advise if you're unsure of your catering arrangements and that we're able to travel across Bedfordshire, Hertfordshire & Buckinghamshire to meet you. Choosing the right menu straight off a caterer's website for your occasion or event isn't straight forward and, although we've tried to make our caterer's website as simple as possible, we prefer to meet you to talk you through your options. We cater for people right across Bedfordshire, Hertfordshire and Buckinghamshire so, once you're happy with our pricing, if you'd like some help planning the catering for your special occasion or celebration event do please get in touch and arrange for Patricia to come out and meet you.